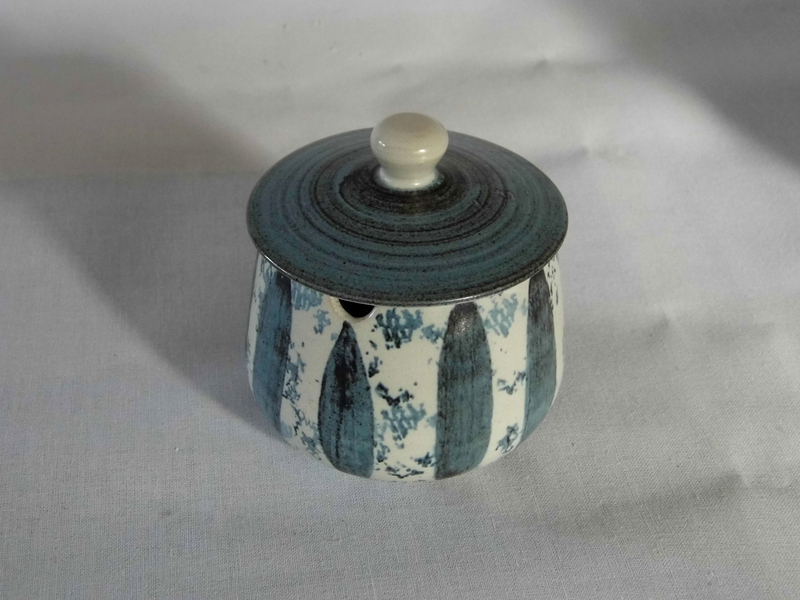 Studio pottery -classic jam pot with lid from Hanmer Potteries. -or use it in the bathroom for bath-salts. 90 x 70mm tall plus lid.